Distortion occurs between the intentions of actions and their outcomes. It can also occur between thoughts and actions; between words and how they are interpreted; between a statement of law and its enactment; between a vision and its artistic representation; and between a cultural tradition or habitus and its animation in contemporary contexts. Escaping the bounds of relationality, of structuration and of systemics, distortion is a form of complex connectedness that has seldom been addressed in the social sciences as a phenomenon in its own right. 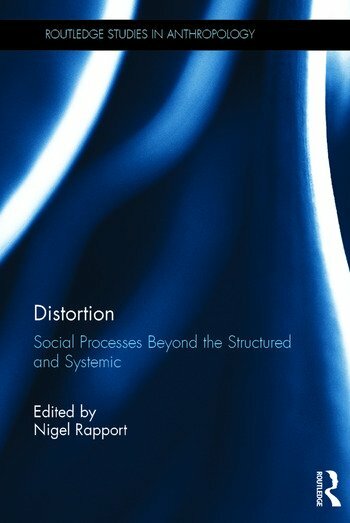 This volume argues for the key importance of distortion as a concept in the social sciences, and attempts to refine it as a concept. Each chapter examines distortion in the context of an ethnographic case study, examining how its conceptualization can further comprehension of a particular ethnographic situation. It is contended that distortion is an account of the emergent or revolutionary nature of human life, an emergence that can be attached to particular antecedent conditions in a processual or temporal way yet is a transformation of the essential nature of those conditions. Coming to terms with distortion adds significantly to the social-scientific appreciation of human activity and creativity, of conscious experience, of the nature of social interaction and exchange, and of the complexity of social milieu. Distortion should be essential reading on advanced undergraduate and postgraduate modules on social theory, contemporary issues and methodologies, communication, sociality, materiality, and intersectionality. Nigel Rapport is Professor of Anthropological and Philosophical Studies in the Department of Social Anthropology at the University of St Andrews, UK.